​Overwatch's competitive mode, which will soon get a new, limited time, alternative mode, allows players to play ranked games against each other, rewarding players with points that can be spent on golden weapons for a hero of their choice. Here are the six best golden weapons in Overwatch! D.Va's golden guns are on her mech and are a part of the gun that "baby D.Va" wields when ejected from her mech. The large golden guns are just the right pop of shiny gold necessary to look powerful and stylish. Sombra has a wide array of skins in just about every single color, and her golden gun looks amazing with each and every skin. Even though the golden weapons are easily noticeable, that doesn't stop her from sneaking around behind the enemy's backline. Sombra's golden weapon especially looks best with her Los Muertos skin equipped. Widowmakers can be one of the most terrifying opponents on an enemy team. One perfectly charged and aimed shot to your head and you'll find yourself back in spawn after six seconds. Widowmaker is also am opulent woman surrounded by wealth, so it's no surprise that her golden gun looks as lavish and expensive as she is. Most of Reaper's skins are black or revolve around dark or red colors. Adding in that pop of gold with Reaper's golden guns turns any bleak outfit of his into a look that is more flashy. Who said death can't accessorize? 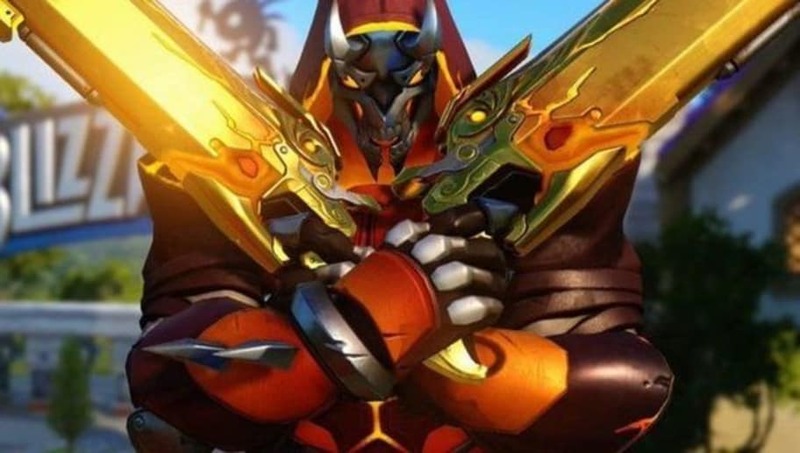 Genji's golden weapons include both his katana and his shuriken, and both look beautiful when thrown at or used against enemies. Genji's highlight intros show off his weapons perfectly, which means the intros look even better when golden weapons are equipped. Moira's golden weapons are the best in the game. When she first launched on Overwatchservers, her gauntlets were the only part that became gold, but Blizzard listened to fan feedback and made her nails gold, too.